Teresa Wynn Roseborough is responsible for The Home Depot’s legal functions, government relations, corporate communications and external affairs. In addition, as corporate secretary, Teresa serves as a liaison between the board of directors and the company and is responsible for all corporate governance matters. Teresa and the legal team are responsible for securities, litigation, employment, mergers and acquisitions, real estate, store operations, risk management and intellectual property. She also leads the government relations team as they address legislative issues that impact the business environment, the retail industry and our associates. 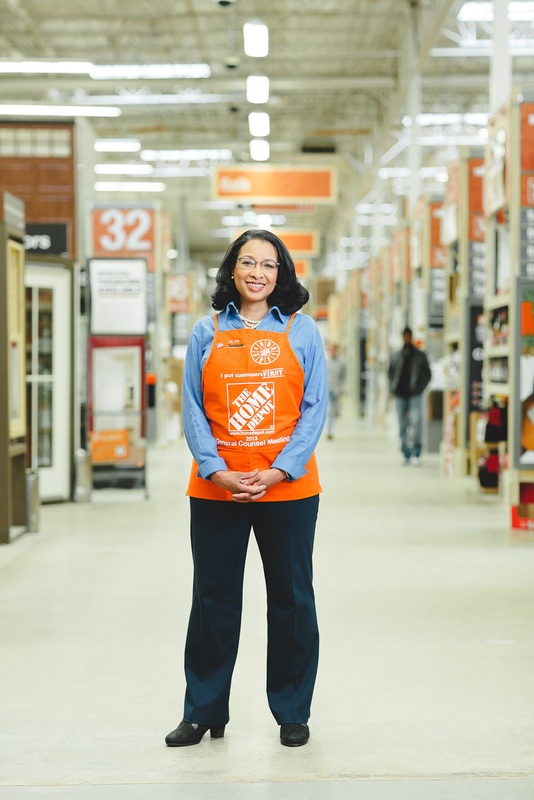 In her corporate communications and external affairs role, Teresa leads the company’s internal and external communications, The Home Depot Foundation, The Homer Fund, branded merchandise and the events team. Before joining The Home Depot in 2011, Teresa held several positions in the legal department of MetLife, and she was formerly a partner in the firm that is now Eversheds Sutherland. Teresa’s more than 30 years of legal experience also includes government service as deputy assistant attorney general for the U.S. Department of Justice; law clerk for Justice John Paul Stevens of the U.S. Supreme Court and Judge James Dickson Phillips of the U.S. Court of Appeals for the Fourth Circuit; and an employee of the Department of Defense in West Germany. Teresa was named one of 25 Influential Black Women in Business by The Network Journal and as one of America’s top black attorneys by Black Enterprise. Her civic involvements include serving as a public member of the Administrative Conference of the U.S., co-chair of the board of directors of the Lawyers’ Committee for Civil Rights and a member of the Board of Overseers of the RAND Corporation Institute for Civil Justice. Teresa earned a bachelor of arts degree from the University of Virginia, a master’s degree in education from Boston University, and a juris doctor with high honors from the University of North Carolina School of Law, where she was editor-in-chief of the Law Review.